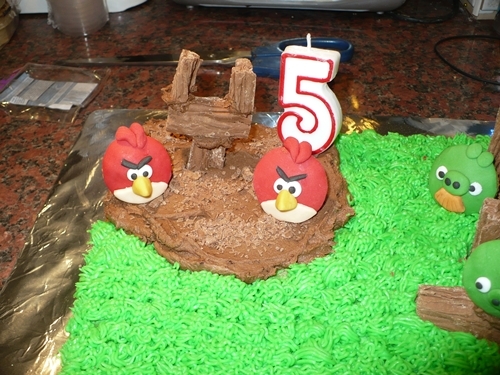 For an angry bird-day party you need a cake, right? 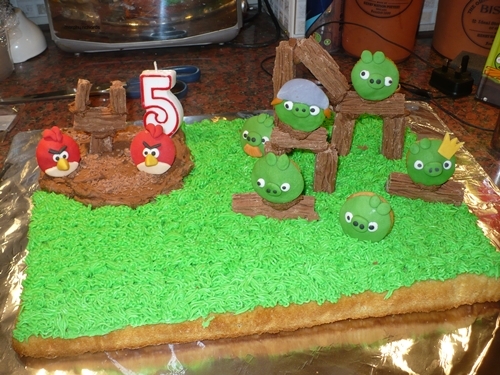 I had in mind a red bird made similarly to the frog you saw last week, but Oscar said he’d prefer a scene. Well after pandering to Juliet’s every whim I couldn’t disapoint my Oz, could I? The grass is piped with a Wilton’s grass tip. 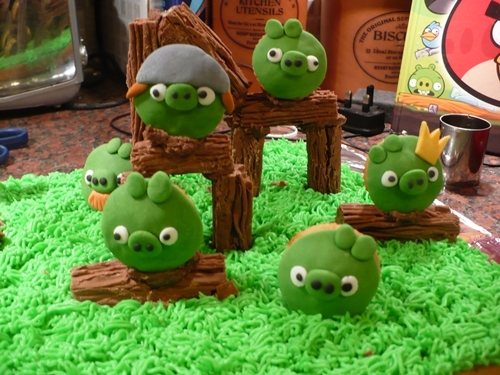 The wood is of course cadbury’s flake and the birds and pigs are fondant onto petit fours size cupcakes. It actually went better than I thought it would. 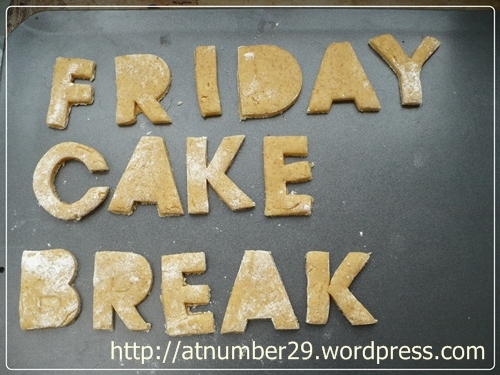 I did envisage a bigger structure but it was so hard to make it all stay up. I had also bought fox’s glacier mints to be glass, but in the ed didn’t use them.